Well, are we going on? Buttercup makes a fine photographer's assistant and sometime model! This year has not provided many ice and frost photo opportunities yet, but I must say it is pleasant to be able to lie down in the sun, on dry grass, to take a close-up photo – on January first! 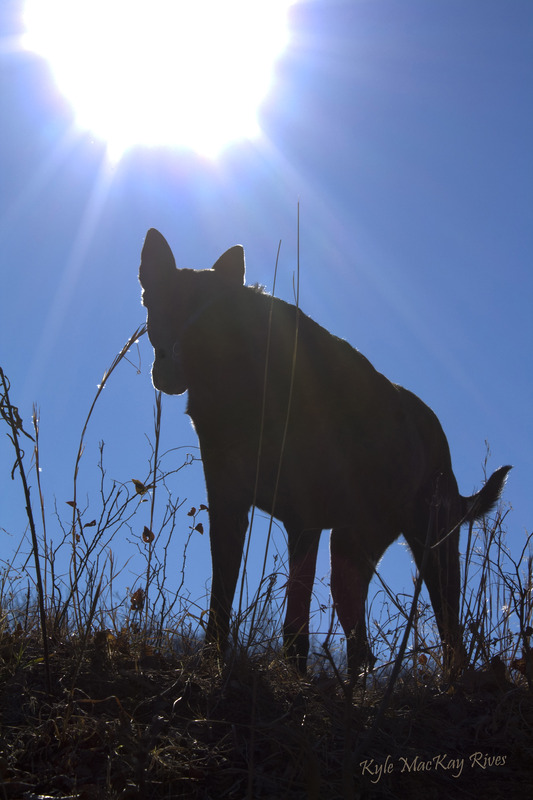 This entry was posted in photography and tagged 2012, Buttercup, Dog, Dutch Shepherd, photo, Photograph, Photography, silhouette. Nice Kyle!!! I’ve heard about wordpress. I’ve actually been curious about it. Do you have to pay a monthly fee to have this public? I don’t really know very much about WordPress yet! Hawken helped me get set up, and there was a fee, I think, but I think it is annual rather than monthly.